It’s Valentine’s Day in New York City. Outside, it’s sunny and blustery. The bodegas are spilling over with so many roses, and on the 14th story of a renovated freight terminal in Chelsea, the day has just begun. A group of women are unpacking behemoth rolling suitcases, hanging clothes on racks and steaming out wrinkles and creases. Two other women are up on ladders, working to hang an enormous bolt of linen that will serve as a photo background. Still more women are setting up lights and screwing lenses on to cameras; a few others gather around a board of pinned-up inspiration images. Ariana Grande is playing. The sun is shining. And there isn’t a man in sight. 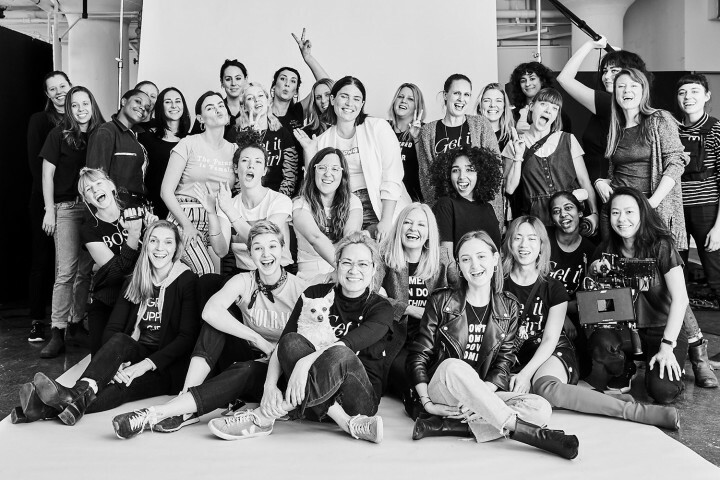 That was the scene a few weeks ago on the set of the Express Women Together shoot, featuring Clémentine Desseaux and Charli Howard: models, activists, and co-founders of the non-profit collective the All Womxn Project. The goal was to feature the Express women’s empowerment t-shirts with authenticity and originality. 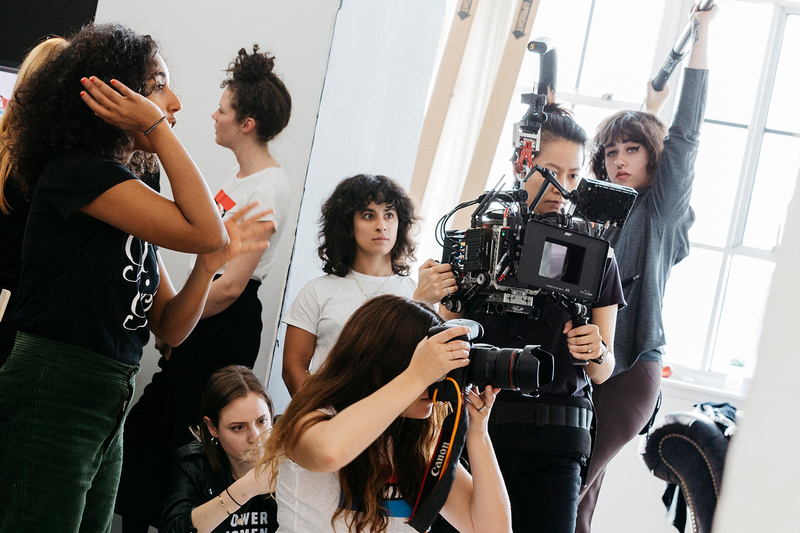 But there was a little hitch: As anyone who has ever been on set knows, even when the subjects are women, the crews—photographers and videographers, grips, gaffers, digital techs, sound mixers—tend to be primarily men. Capable and talented men, no doubt. But men nonetheless. 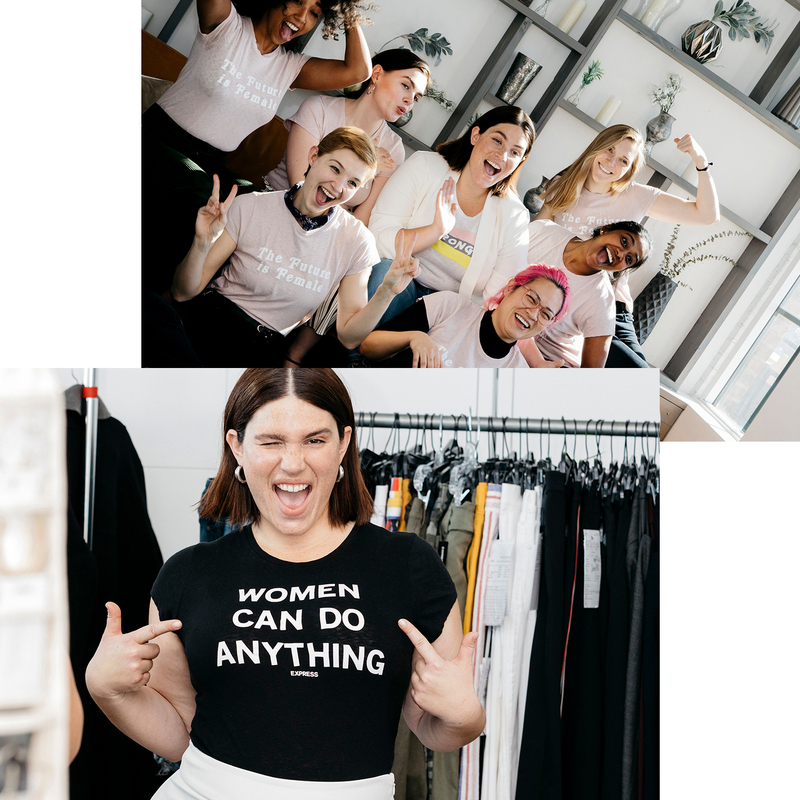 In honor of Women’s History Month, Express decided to celebrate its longstanding commitment to female empowerment, one capable and talented woman at a time. Express made history, and cast an all-female crew. “I didn’t realize that I’ve never worked with an all-female crew,” said movement coach Vanessa Marian, putting to words what nearly every one of the 33 women present was noticing, too. “Despite being told, I walked into the room today and was completely gob smacked. And it’s completely incredible.” But it’s not just about how it feels—although that matters. A lot. “Females need to be able to tell female stories because we’re the ones who have lived them,” Verghese continued. “It’s as simple as that.” Hiring women empowers them both creatively and financially. Hiring women results in remarkable work. The day buzzes along. There’s a heightened attention to detail and mutual respect. At lunch, over grilled veggies, quinoa salad and excellent chocolate chip cookies, the conversation ranges from the oddness of Uber Pool to motherhood, dating and film. One set is quickly dismantled as another is cast. Someone suggests gathering for a group photograph and everyone is wrangled together. It’s not hard to get a great shot, where everyone is smiling, where everyone feels self-realized and valued, where everyone knows their inherent worth. That is what happens when women work together. The camera shutters. The moment, albeit fleeting, is captured. And then it is back to work, back to the schedule and back to a day that not a single woman on set will ever forget. 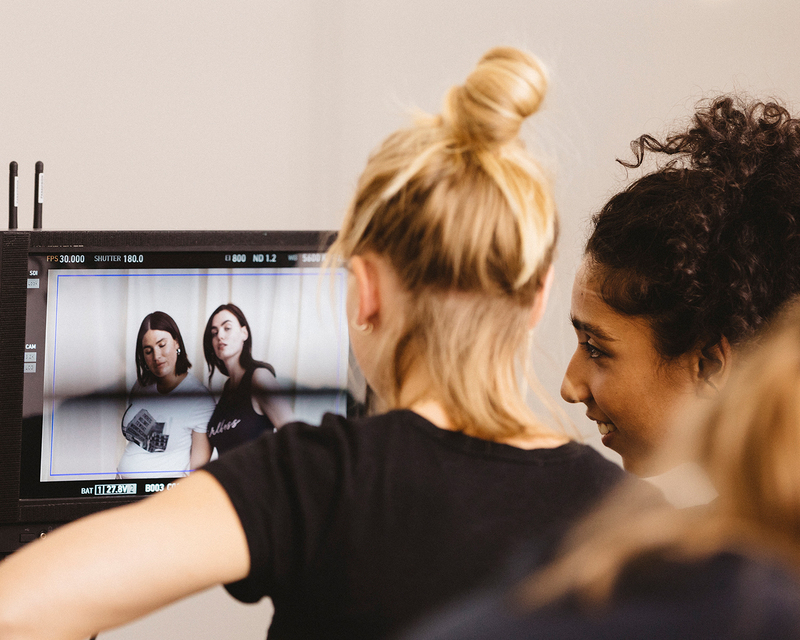 For a closer look behind the scenes of the Express Women Together campaign, watch the video below. The 21 Express empowerment t-shirts are available on express.com from $29.